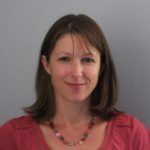 I am a Chartered Clinical Psychologist, with 20 years experience of working with people experiencing a range of distressing feelings and physical symptoms. I have trained in a range of approaches, including cognitive-behavioural therapy (CBT), acceptance and commitment therapy (ACT), schema focused therapy, and dialectical behaviour therapy (DBT). I have found my approach particularly suited towards those who have experienced long-standing emotional difficulties, or who have tried many different ways of coping, and nothing seems to be working. I am also keen to work with those who lack a sense of self-worth or struggle to find meaning and purpose in their lives. As well as offering independent therapy at The Salisbury Practice, I am currently leading a pilot NHS service in South Wiltshire, offering early psychological assessment for people with complex intense emotional needs and difficulties with relationships, in the hope of developing a shared understanding of the individual’s experience, and contemplation of possible steps forward to live a more fulfilling life. I am a member of the British Psychological Society (BPS; Division of Clinical Psychology) and have professional registration with the Health and Care Professions Council (HCPC), which requires me to undertake regular continuing professional development activities to ensure I continue to practise safely and effectively.